It's time for Back-to-School, which also coincides with a great offer for free Scholastic books, as part of the Kellogg's Family Rewards! I’ve enjoyed when he began to surround himself with books — picking up one after another as he devoured them. It was the first time I caught a glimpse of his veratious love for learning. It has not ceased, or diminished — only growing in intensity. I’ve watched with pride as my boys sit and read together — at first slowly picking their way through the sentences, and then gaining speed as their confidences builds. I’ve supported their passion for the Scholastic Book Fair. We regularly volunteer for the events and my oldest also enjoys participating in the events — both in selecting wish-list books, but also helping out before and after school. He particularly enjoys answering questions the other kids have about Minecraft books. 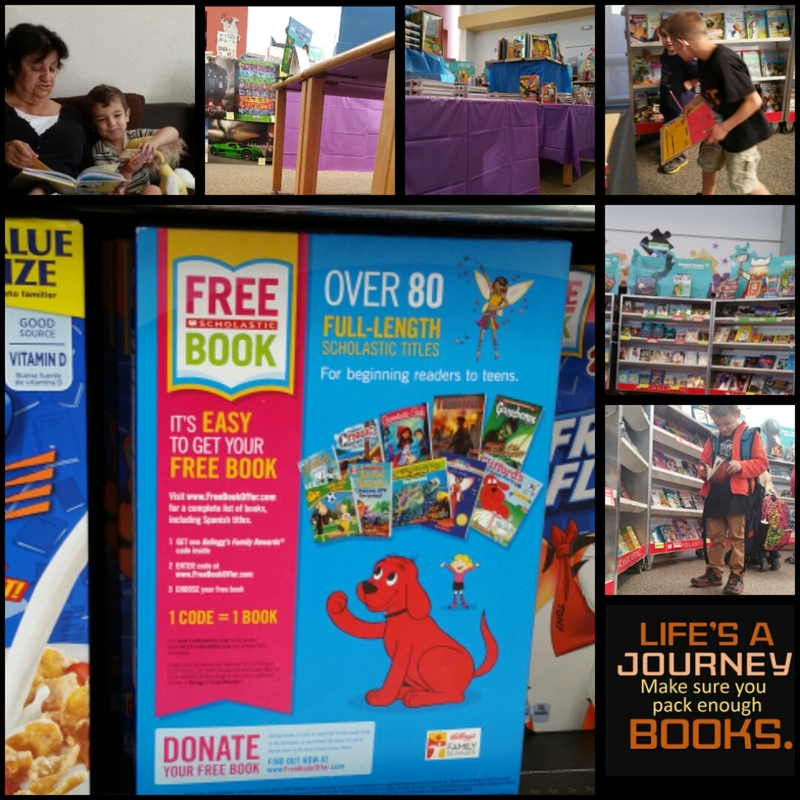 But, now, there’s an even greater reason to love books, Kellogg’s and Scholastic, as they are making it even easier for kids to read great books! When you purchase a Kellogg’s product, you can turn all that deliciousness into something more meaningful — a learning experience for your child or a donated book. Either way, it’s fun and easy! So, for this campaign, we stopped in to visit the cereal aisle at Walmart — to pick up our favorite Kellogg’s products. We, then, signed in to our Kellogg’s Family Rewards account. (You can sign up here.) It’s also easy to claim your reward: upload a receipt, send a text, or scan it in before 9/11. What’s cool is that… 1 Kellogg’s product = 1 free, full-length Scholastic book. And, you can redeem up to 30 books. It’s huggable… #Back2SchoolReady @KelloggsUS @collectivebias #ad A photo posted by Don Jackson (@daddynewbie).